On Sunday, the Pittsburgh Penguins ascended to the pinnacle of the hockey world, defeating the San Jose Sharks to capture the Stanley Cup. A lot had to go right for the Pens to win it all. Collectively, they had to do a lot of things well. Still, one resounding factor stood out in their play, perhaps the primary reason for their success: Speed. The Penguins simply out-skated all of their opposition. Now they are world champions. You may be asking yourself what this article is doing on a website that focuses on Colorado Sports. Surprisingly enough, the team that the Colorado Avalanche most closely resemble stylistically is those same high-flying Penguins. Sure, the Avalanche have not enjoyed the same amount of success as the Penguins in recent years — not even close. If you watch the teams, however, both can skate. Offensively, both team’s offenses are predicated on the fast break. Then why are the Penguins Stanley Cup Champions, while the Avalanche are also-rans? The differences in styles, however subtle, seemingly make a huge difference in results. The Avalanche skate fast with the puck. They do it in transition, up until they enter the zone. Then, they slow things down, and cycle/pass into oblivion. The Penguins, on the other hand, skate fast all of the time. They skate fast on the forecheck. They skate fast on the backcheck. Heck, they skate fast in warmups. This also helps explain the Penguins’ positive possession numbers. The Pens waste little time attacking once they get the puck. After a scoring chance, however, they are relentless in their pursuit of the puck. The Avalanche’s possession numbers are awful. While some of that could be related to personnel, I think that an adjustment would result in an immediate improvement. 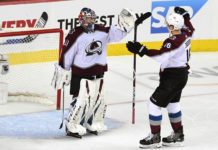 If the Avalanche are truly committed to being a fast team, they have to be fast all the time. The speed game is actually something the Avalanche moved away from somewhat last season. They instead tried to grind it out more in the corners, to set up more plays in the offensive zone. As you can tell, this approach didn’t work. If they want to make it back into the postseason, they should stick with what they know. That being said, they will need to make an adjustment defensively as well. All too often, the Avalanche got caught watching the puck, waiting for the play to come to them. The Penguins attack the puck carrier quickly (something the Avalanche did in coach Patrick Roy’s first year), but they also do it at smart angles, to obstruct shooting lanes. The Avalanche defensemen also need to make smarter decisions. Turnovers, especially in the defensive zone, have become an epidemic in Colorado. The Penguins’ defense, while fast, is very responsible in terms of their decision making. There’s a big difference between playing aggressively and playing recklessly, and it’s a difference that the Avalanche still must learn. A lot of these changes will boil down to coaching. For the Penguins, they weren’t even in the playoff picture until they fired their coach and installed Mike Sullivan, who was fully committed to playing fast. 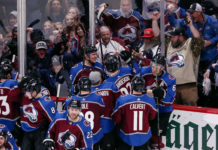 I don’t think the Avalanche need to fire Roy; he simply needs to recommit to a style that will properly utilize his players’ standout talents. I also think he needs to take another page from Sullivan and coach with a firmer hand. 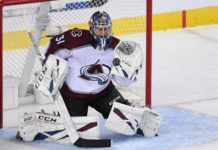 Simply put, the Avalanche players need to be held more accountable. A prime example of what that can accomplish is Kris Letang. Always an offensive threat, to say Letang played recklessly would be an understatement. He turned into a responsible two-way defenseman under Sullivan. 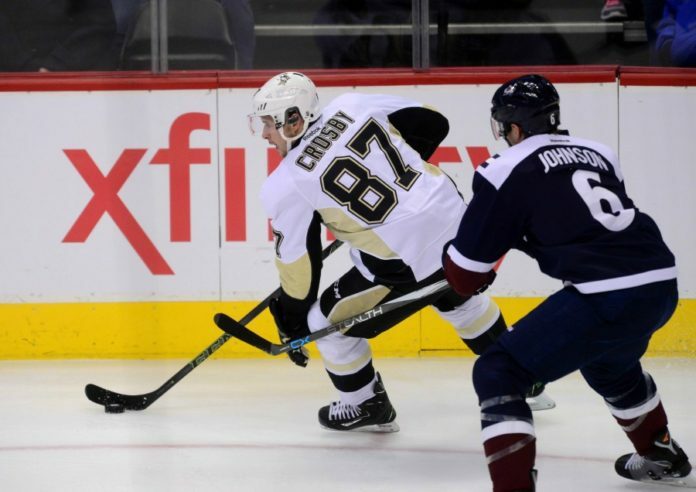 The Avalanche may have a lot to learn, much of which they could learn from the Penguins. That being said, judging from the Penguins’ success, they really might not be as far away from contending as it might appear.